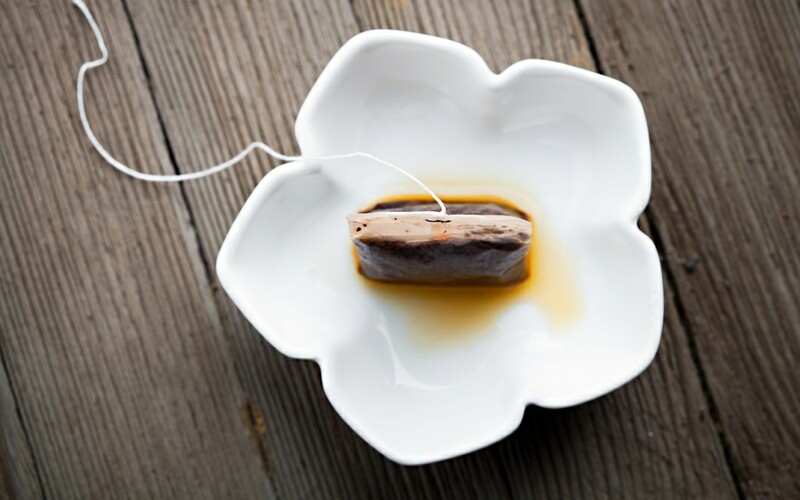 Next time you brew a cup of tea, rather than tossing the used tea bag in the trash or compost bin, give it a second life. Some varieties lend themselves well to brewing a second cup, but you can also use them to beautify your house and yourself. Similar to baking soda, used tea bags can soak up unwanted odors in the fridge. Place a few used tea bags in an open container in your fridge to keep it smelling fresh and clean. After brewing a pot of green or black tea, allow tea bags to cool, then with eyes closed, place them gently on the area below your eyes. The caffeine in the tea helps constrict dilated blood vessels and swelling. The same super nutrients in tea that are good for you are also healthy for your houseplants. Once cool, you can spread the contents of tea bags around the stems of your plants for an extra dose of minerals. Even after brewing a cup of tea, there’s often lots of flavor left in the tea bag that can be used during cooking. Toss pre-brewed bags into boiling water when making pasta, rice or other grains to impart a delicate flavor. You can experiment with various types of tea, such as chai, cinnamon or jasmine.